Can Learning a New Language Alter How You See the World? It seems like a clip out of the Matrix. You begin your foreign language learning program, trying to figure out how to learn Russian Grammar for beginners and before long, you’re fluent and wake up in a completely different reality. You’ve been unplugged. Life will never be the same. But is learning a language really like this? It seems too bizarre to be true, but many people argue that studying a foreign language does, in fact, change your perception of the world. 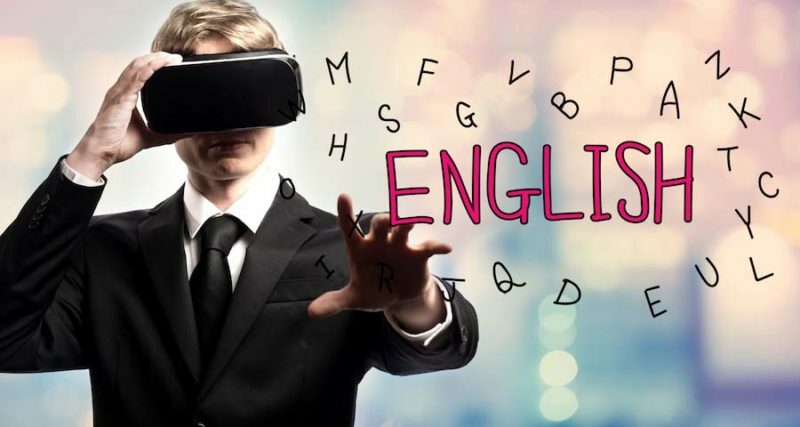 Surely, the best language learning program out there can help you reach fluency fast, but can it completely alter your reality as well? As it turns out, even science has something to say about how learning more languages can expand your perception of the world. Why Do We Use Language? Learning a language is about more than listening to a few Russian language tapes or picking up a book on the subject. It’s more than a series of vocabulary quizzes and verb conjugations. Language is not words. We use language as a tool for communication. When we first learn a language we do so because we need to interact with the world. And as we interact with we world, we grow with it. And it is language that makes this possible. Think about it. Every component of who you are as a person rests on the foundation of language. When you learn a language, you learn how to speak correctly and respectfully to people. You learn how to read and write. You learn how to listen and understand those around you. When you describe yourself or your dreams, you do so with language. And when you tell jokes or express love, you use language. Our world is made up of language, the communication of ideas and experiences we have with others on a day-to-day basis. Language becomes the fluid that connects every individual of a similar culture. And you recognize this no less than when you move outside of your culture, your language, and attempt to interact with others. All of a sudden the structures you’re so familiar with breakdown, and you’re left stumbling through a simple conversation, speaking louder and pointing more, lost to anything beyond that language barrier. To understand how language directly connects to perception, you have to know how language differs. If you’re a native English speaker with only one language, then you are limited to the constructs of that language no matter how developed you are in it. It’s like only having one small set of crayons for coloring. Learning a new language provides you with different shades to add to your palate, and the resulting image has far depth. The more languages you have at your fingertips, the more accurately you’ll be able to paint a picture of life. Merely look at the differences between English and other languages. In English, we do not use gender. However, German, the Romance languages, and many others do. Native speakers of these languages show the effect of this when they describe objects to others. Feminine objects tend to take on characteristics of females of a particular culture when being described by a native speaker, and masculine objects do the same. Dr. Lera Boroditsky noted in her study that when she studied Australian Aboriginals, they communicated direction differently than Western speakers. The Kuuk Thaayorre talk use cardinal direction instead of left and right. This means that you would walk down the “east side” of the street or write with your “west hand,” etc. Because direction is vital to communication, these indigenous peoples need to continually be aware of their surroundings, something not many people regularly notice. And there are many more examples of this throughout cultures with languages. Whether communicating through clicks, whistles, or tones, each language has variations on perception unique to their culture. Russians are more precise with colors like blue, and the Pirahã do not have a way of counting as their language does not have numbers. The list goes on and on. But rather than being neat answers to trivia questions, these are unique attributes that add a layer of perception to reality. These things exist. We simply filter them out because they tend to be irrelevant to us, at least until you speak in a different language. Thinking that cracking open a grammar book will be like taking the “red pill” from the Matrix or the linguistic equivalent of a psychedelic drug-induced experience is not accurate. Instead, your perception alters in subtle degrees. When you learn that other languages have different ways of perceiving ideas and concepts you previously believed there was only one way to interpret, you become increasingly open. As basic as it seems, you need to know that Germans describe time differently than English speakers. If they say that it’s “it’s half five” in German, it means that it is “4:30” not “5:30.” We count passed the hour; they count towards the next hour. Neither way is wrong. And the more interactions like this you have with other languages, the more you realize how diverse basic concepts can be. The result is that you become more accepting of other cultures. When you discover words that have no direct translation into English, for instance, but you learn their meaning in German or French, you learn a different way to describe universal human feelings, sometimes even more precisely. When you hear “kummerspeck,” or “grief bacon” for example, you know the feeling someone is going through. Moving through those thoughts in the native language allows you to kind of swim about another culture, without splashing around uncontrollably. Is a Dynamic Perspective Necessary? There are plenty of reasons to learn a second language. From completing a challenge to improving your resume to even keeping your brain healthy longer. But perhaps the most incredible benefit is that when you learn a new language, your view on the world changes. As a final example, look at how Spanish and Japanese speakers describe accidents. If someone were to break an expensive desk lamp by accident, and a Japanese or Spanish speaker was asked to explain what happened, they would say, “the lamp broke.” In English, we tend to label the person with the action, regardless of intent. Both in Spanish and in Japanese, the person is not relevant if the action was unintentional. On the surface, it may seem like a minor difference, but when you look at the legal consequences of blame, you see that the rules of one language allows for more forgiveness than the other. What we do with that information depends. Later on in the study, English speakers easily remembered who broke what. The other participants had forgotten. When you think of how this perception can translate to other incidents, you begin to wonder what conclusions people might arrive at, all because the descriptive language is slightly different. Something to keep in mind after your next accident.